Janny is currently the Education Clinician for the in-patient Oncology program at the Juravinski Hospital and Cancer Centre at Hamilton Health Sciences. 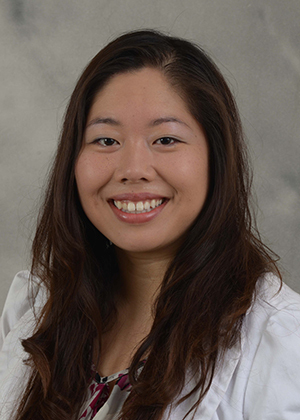 She has a passion for oncology nursing and for lifelong learning and mentorship. She helps to deliver education on a variety of topics and helps to support professional development for an interdisciplinary health care team. She obtained her CNA oncology certification in 2010 and her CNA Hospice and Palliative Care certification in 2011 and is a facilitator for the chemotherapy & biotherapy course as well as for the Education in Palliative & End-of-Life care for oncology. Janny also teaches oncology through distance education at Mohawk College. She is a strong advocate for pursuing learning opportunities to help enhance patient care and to optimize outcomes. Janny is fortunate to work alongside very knowledgeable, compassionate and talented individuals who help to create positive learning environments to promote professional growth.